SASL has been in the dimming and control business since the 90’s. 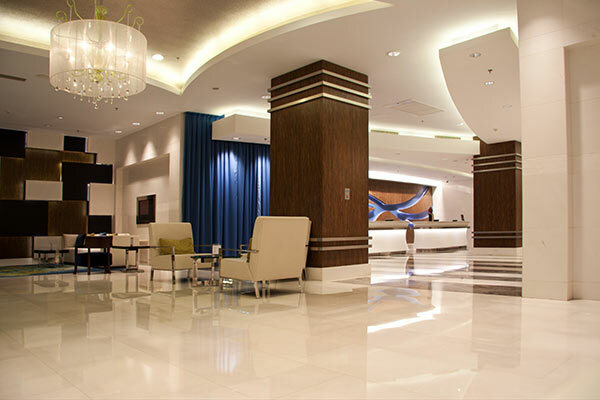 Our expertise in facility lighting control systems have served clients like the Marriott and Westin Riverwalk Hotels well. These systems require high density dimmers with lighting control stations located throughout the hotel, and unique programming for each area. We deliver custom-designed lighting solutions, using control technology and facility-wide LED fixtures to provide lighting solutions with varying color temperatures, color mixing and occupancy sensors. Our energy efficient lighting solutions can also help save your business money on energy bills while delivering an inviting atmosphere. Let’s discuss the many lighting options that are now available for your facility.